The doctors and staff at Midwest Orthopaedics at Rush treat some of Chicago’s most elite athletes as the official team physicians for the Chicago Bulls, Chicago White Sox and Chicago Fire, but on December 21st, they treated Special Olympics Illinois to a generous donation as the beneficiary of their annual holiday card program. 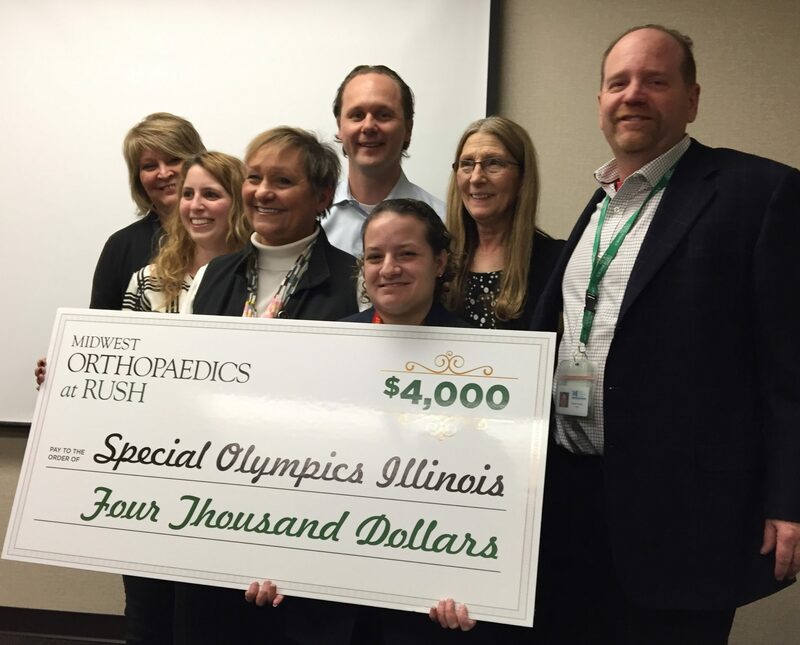 To honor their clients in a meaningful and relevant way, Midwest Orthopaedics at Rush sent holiday cards to all of their patients and partners creating awareness for the programs at Special Olympics Illinois and pledging a donation made in the name of each card recipient, which resulted in a gift of $4,000.00! Those funds will go a long way to support our athletes and the programs that are so vital to them. Long-time SOILL volunteer and MOR Marketing Director, Paul Strandquist coordinated the program as well as the check presentation at the Westchester offices of Midwest Orthopaedics at Rush. He provided an introduction, sharing stories of his experiences as a volunteer at Winter games in Galena and Summer games at the ISU campus, and presenting veteran athlete and Global Messenger Michele Forzley with some gear from her favorite baseball team… the Chicago White Sox! 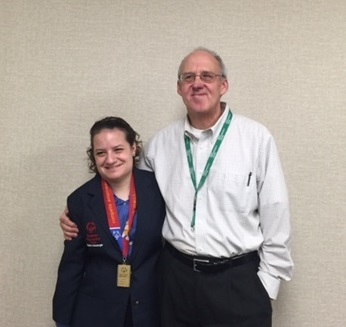 Michele then spoke to the captivated audience of MOR employees about her personal story as an athlete, and the gains she has made through participation in Special Olympics Illinois. At the end of the program Paul Strandquist declared, “I am inspired to do more”! Midwest Orthopaedics at Rush… just the right medicine for Special Olympics Illinois!